The White House Grill has gone 'Garlic Mobile' offering their legendary menu items to go. The restaurant on wheels is located on the north side of Spokane at 6020 North Division and is serving their fresh garlic dishes on a daily basis. They are open at that location Monday through Friday 11-7 and Saturday 11:30-4. Remember the White House or West Wing for your Holiday parties. For more information call 509-368-4221. Video Only, a family owned and operated electronics retailer based in Washington, just expanded operations with the grand opening of its first store in Spokane at 7755 North Division Street, next to Costco. With 15 stores, Video Only has been serving customers in Washington, Oregon and California for over 30 years selling TV's, Blu-ray Players, Home Theater Systems, Cameras, Camcorders and Accessories. 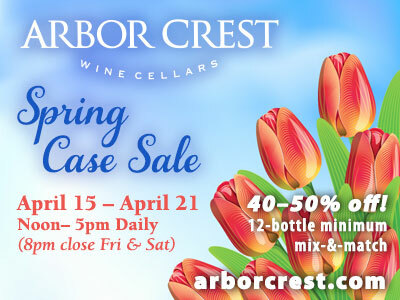 Store hours at the Spokane store are Monday through Saturday 10 am to 9 pm, and Sunday 10 am to 7 pm. An antique clock restoration shop just opened on North Division. Spokane Clock is a one-stop-shop for vintage, electric and antique clock owners for repair or restoration of family heirlooms or treasured timepieces. Spokane Clock is in a newly remodeled building at 3140 N. Division. Nat Williams, owner of Spokane Clock has been associated with the antique clock industry for over 30 years with 12 years working with a local clock expert the late Dave Larsen, at Larsen's Clock Center. You can learn more at SpokaneClock.com. Tuesday, December 6th, 6:30-9:00pm, at the Davenport Hotel, in the Marie Antoinette Room, LaunchPad INW will be celebrating the season for their quarterly event in partnership with Spokane Symphony Associates and Christmas Tree Elegance. Attendees will enjoy desserts, dueling strings, booths set up by local vendors and building relationships with elegance. Table sponsorships still available, early bird attendee price is $15, and after Nov. 25, it goes to $25. Founding and Pro Members are free but still need to RSVP. More information at www.launchpadinw.com. Santa won't be the only one in red and white this holiday season in downtown Spokane! For the first time, Eastern Washington University will offer some of its hottest gear and apparel at River Park Square. Now through January 1st, a kiosk featuring EWU items will be located on the third level of River Park Square in front of the AMC Theatres Box Office. Eastern fans will find sweatshirts, sweatpants, youth T-shirts, infant items, National Championship memorabilia, jackets, hats, license plate frames, key chains, flags, holiday ornaments and much more. Northwest Center for Oral & Maxillofacial Surgery, a longtime Spokane Valley surgery group, has returned to full operation just weeks after a fire destroyed the offices it had practiced from for more than three decades. Dr. Kenji Higuchi and Dr. Daniel Skinner began treating patients this month from temporary offices at 2510 North Pines Road, Suite 206. Fire destroyed the Valley Mission Professional Building on September 19. The practice had been located at the building since the 1980's. No one was injured, but the contents of the building were a total loss and the building will have to be rebuilt. Several other medical and professional businesses were also damaged. Drs. Higuchi and Skinner plan to move back into the Valley Mission Professional Building next spring. Local business owners Monte and Kelly Tareski of SpokaneGrapevine.com have long been involved with promoting small businesses and local charities in Spokane. They have a fan page on facebook that is over 11,000 strong and use their blogs and website to spread the word about all the wonderful things this region has to offer. They have recently unveiled a new program called the Spokane Grapevine Discount Card Program, a program where non-Profits and charities sell a physical card (similar to a credit card) for $25. The card entitles the bearer to discounts from merchants that have signed up for the program. The discounts offered by the merchants are significant so the value of the card is an easy sell for the charitable organizations. The program is three fold. Charities and non-profits make a significant margin on the sale of the card, local merchants get the much needed foot traffic in their door and the consumer gets significant discounts from participating merchants. Best of all it doesn't cost merchants anything to sign up for the program. It is a free program for merchants with no strings attached. 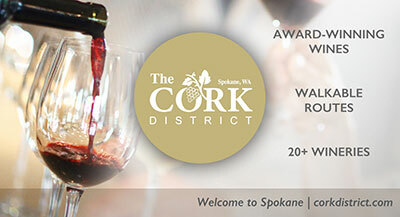 Each participating merchant gets a mini-web page on the Spokane Grapevine Discount Card Website which will be cross promoted across the extensive Spokane Grapevine Network. All the work is done by Monte and Kelly. All merchants need to do is sign up and wait for customers to walk in their door. Almost all of the money generated from this program stays right here in Spokane be it merchants or local charities. The network of merchants is growing daily and includes participants like Round Table Pizza, Finders Keepers, Harmon Glass, Corner Cottage, and Something Else Deli to name just a few. Monte and Kelly have written a blog post outlining all of the benefits of the program. You can read more by clicking on the link. spokanegrapevine.blogspot.com/2011/11/spokane-grapevine-discount-card.html. Monte can also be reached at 509-999-7810. Phil Baker, the president and CEO of Hecla Mining company will address the Executive Connect Breakfast, Tuesday, November 22nd, 7:30 to 9:00 am in the Georgian Ballroom of the Spokane Club. Registration is $30 and can be done at connectnw.org. The Salvation Army is ready to hand out more than 7,000 Thanksgiving meals on Tuesday, November 22nd. The meals are pre-bagged and include all of the standard Thanksgiving fixings. The idea is that families can receive all of the items and prepare the meal in their own home or residence. The meal includes a turkey, 5 pound bag of potatoes, yams, rolls from Franz, butter, stuffing and more. Last year, the Salvation Army handed out 6,800 turkey dinners and is expecting to hand out hundreds more this year, as the need for food and other services is on the rise in Spokane. It takes over 600 volunteers to make the Thanksgiving Distribution run smoothly. Any Spokane area family in need of a Thanksgiving Dinner can come down to the Salvation Army at 222 E Indiana on Tuesday, November 22 to collect their prepackaged meal. The doors open at 8am and close at 8pm. Remember to dress appropriately in warm clothing due to the inclement weather. Also, one person can serve as a representative for their household and pick up the turkey dinner. This will help alleviate longer lines and less people having to wait in the cold. Turkey dinners are distributed on a first come, first serve basis. You need to bring picture ID for adults 18 and over, proof of minors/children under 18 (medical coupon, social security card) and proof of current address for all adults (avista bill, phone bill, etc). People can also sign up for Toys For Tots at the Turkey Distribution. Governor Gregoire has announced selection of the Spokane Area Workforce Development Council's Work Ready Spokane initiative as a Best Practice in Workforce and Economic Development. The award recognizes programs and projects that create additional jobs and economic activity while at the same time helping Washington workers get the training they need to land a job and earn a living wage. The Work Ready Spokane project was launched seven months ago using ACT WorkKeys, a national work readiness assessment, to demonstrate a potential employee's workplace skills. It has proven to have application in secondary and postsecondary education as well as workforce and economic development. The Spokane Area Workforce Development Council is actively seeking to expand this initiative as, according to three major Spokane employers using the assessment, it can help a business save time and money, and reduce employee turnover. This project initially started as partnership between Spokane Area Workforce Development Council, WorkSource Spokane, Greater Spokane Incorporated, Community Colleges of Spokane, Medical Lake High School, Spokane Public Schools, Career Path Services, Employment Security Department, Triumph Composite Systems, and Goodrich Corporation, and more. It is quickly spreading across the state and is being looked at by other counties as testimonials from several Spokane businesses that have begun using WorkKeys in their hiring practices and job postings are being shared with peer companies in their industries. On Saturday, November 5, 2011, just two days prior to opening the brand's second location in Spokane, MacKenzie River Pizza, Grill & Pub held a soft opening VIP Benefit Dinner to raise money for Wishing Star Foundation's local chapter. The invite-only event brought in close to 300 guests, and in just three and a half hours, guests purchased and enjoyed $5,000 worth food and beverages. MacKenzie River pledged to donate 100% of the proceeds to the cause, and they did exactly that. Fundraiser night is a significant component of the new store opening process for all MacKenzie River locations. It offers colleagues, family, friends and fellow business associates from the community an opportunity to experience the restaurant before the doors open to the general public. Asset Planning & Management, Inc. will hold its annual Ready Set Retire workshop designed for professionals to bring value to their retirement age clients. Continuing education credits are approved for accountants, attorneys, insurance agents and financial professionals. This hands-on, informative workshop will be held, Thursday, December 1, from 8 am to 5 pm at The Davenport Hotel. The cost is $250. To register or for further details call 838-4175 or go to www.assetplanning.com. The Lion's Share dinner theatre is making a special effort this Christmas to invite businesses to have their Holiday party at the theatre's Dickens of a Dinner. It is a great way for small offices to celebrate in grand style and let The Lion's Share do all the work. Groups can be seated together and enjoy a sumptuous meal while an entertaining production of A Christmas Carol takes place around them. The Lion's Share provides it all, a candlelight atmosphere, Santa's sleigh for pictures, a unique gift boutique, great theatre and good food. The party guests just need to show up. Nights still open are December 2,3,9 and 10. Businesses receive a 10% discount off the usual price of $40 per person. Call 509-327-1113 for information and reservations. The website is www.lionaround.org. "Success in life is not a matter so much of talent or opportunity but of concentration and perseverance."